Michael Hansen has joined H.L. Turner Group Inc., an architectural and engineering firm headquartered in Concord. 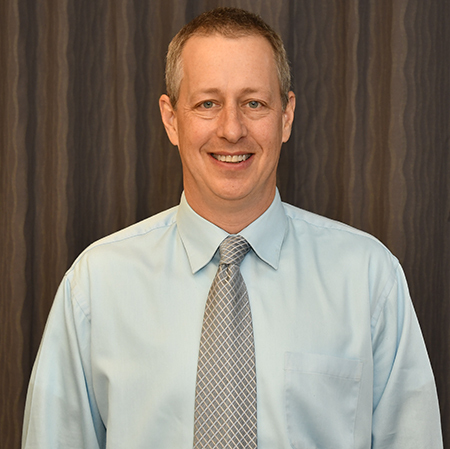 Hansen has 18 years of civil engineering experience, focusing on floodplain and stormwater management. An 8,300-square-foot professional office building at 80 Merrimack St. in Manchester – offices of the law firm of Shaheen & Gordon since 2010 – has been sold in a 1031 exchange to Nettle LLC by Diogenes Realty LLC for $850,000. Doug Martin and Bob Rohrer of Colliers International’s Manchester office represented the seller, and Bryan Wright, also of Colliers’ Manchester office, represented Nettle, a Manchester-based firm. According to Colliers, Shaheen & Gordon plans to remain in the building for six months while looking for a new location. The building was sold with the potential to subdivide the space to accommodate two or more users. Hancock Associates, a land surveying, civil engineering and wetland science services firm based in Danvers, Mass., has acquired H.W. Moore Associates Inc., a land planning and civil engineering firm in Boston. Hancock has nine offices, including one in Salem, NH. Plan NH has announced the appointment of Brian Pratt, an engineer with Fuss & O’Neill, to its board of directors. For more information about the program, and for nomination guidelines, visit plannh.org or email info@plannh.org. Portsmouth-based B2W Software, a provider of heavy construction management software, will be holding its 18th annual User Conference March 3-5, 2019, at La Cantera Resort in San Antonio, Texas, the company announced. Guest speakers will include marketing expert Andrew Au and Jim Morris, the inspiration for the baseball film, “The Rookie.” For more information, click here. Cassi Beroney has been promoted to accounting assistant at TFMoran’s headquarters in Bedford. Beroney has been with the company for five years, most recently as administrative assistant/receptionist. Some 3,000 square feet of space at 548 Donald St. in Bedford, has been leased by Patryn Family United Partners of Bedford to Capital Distributors & Delivery of Amherst . Tom Dickson of Stebbins Commercial Properties represented the landlord and assisted the tenant in the transaction. Attorney Lindsey K. Peterson has joined Hinckley Allen’s Manchester office as an associate in the Construction & Public Contracts Group. Peterson, who previously worked at Boyle Shaughnessy Law, has represented clients in construction defect, premises liability and commercial disputes. Wickie Rowland of Labrie Associates of North Hampton has been certified by the Association of Professional Landscape Designers, becoming one of just over 10 landscape designers certified by APLD worldwide, and the only APLD-certified designer in New Hampshire, the firm said. Rowland has been working with Labrie since 2007. Forever Metal Roof Company, a Loudon-business specializing in metal roof installation throughout New Hampshire, Massachusetts and Maine, has appointed Deborah Ann Zuger Lyons as the company’s director of customer relations. Concord-based Nobis Group has been awarded a 10-year contract by the U.S. Environmental Protection Agency to provide comprehensive on-call design and engineering services at Superfund and brownfield sites throughout EPA Regions 1, 2 and 3. This contract has a ceiling of $410 million which will be shared among several firms. Earlier this year, Nobis was awarded another 10-year contract to perform environmental and operations services.